Jobber was launched in September 2011 and is currently headed by the founders Sam Pillar and Forrest Zeisler. Motivated by the desire to produce a product that was “faster, simpler, and better” than any other on the market, the dedicated team of engineers and developers have succeeded in attracting a wide range of clients and users. Jobber’s field service management software is made with top-of-the-line security features and supported with secured servers to make sure make sure that your business is safeguarded and your data is always in safe and secure hands. Jobber is a field service management software that was produced to help companies and firms that operate in the business of field services. This service scheduling software provides an automated business operation that is fast, simple-to-use, and continuously supported by the manufacturers themselves. The Jobber Field Service Management Software is also upgraded and updated daily to maintain its speed and accuracy, eliminating any bugs or viruses that could damage your operation and indispensable files. Users also benefit from new and useful features that are added every time the system is updated. 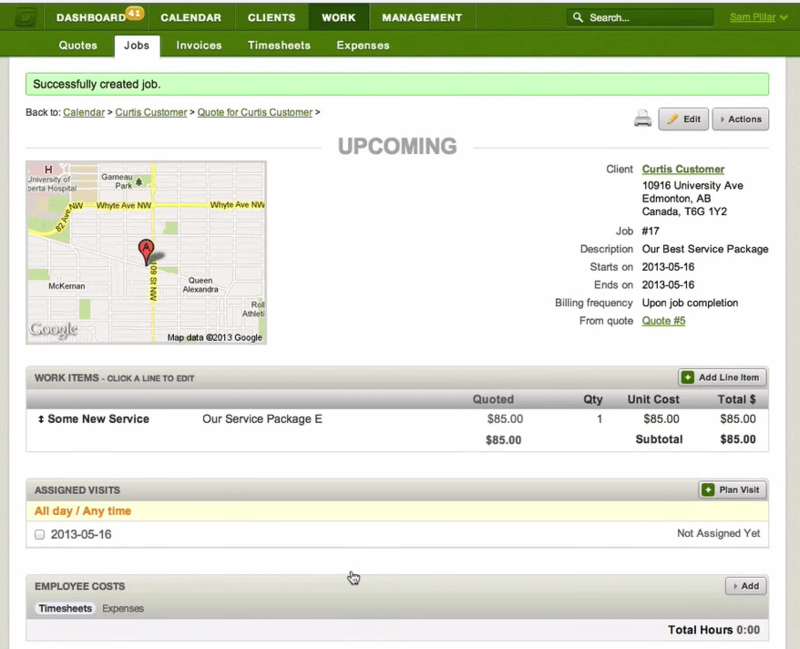 Jobber has several features that can ultimately help you in your business transactions. With this service scheduling software, you can create and send business reports as well as customize software fields with your own template style. You can speedily send invoices and set schedule fields like placing markings on completed or repeated transactions. You can also make an easy view and follow-up of your contract history including clients’ contact information and more. Plus, the software goes where you go; all the features that Jobber provides can be accessed via your own mobile phone. With this, you can view everything that happens with your business even on the field while completing a job. Not sure if Jobber is the right tool for your business? Got questions? Call, click, or email to speak with an unbiased Technology Advisor for a no-cost, no-obligation consultation on your unique requirements. Learn everything you need to know about Jobber. Our experts will reach out to you shortly.